These days you can order up just about anything on-demand. Doctors, drivers, hairdressers, heck even a new mattress is just a few finger taps and credit card number away — all hours of the day and night. But fashion? Well, that can be a bit of a tougher nut to crack. Style, size, fit, cost, occasion — all of the considerations that go into getting dressed every day — are anything but one size fits all. Still, it’s a booming industry right now. 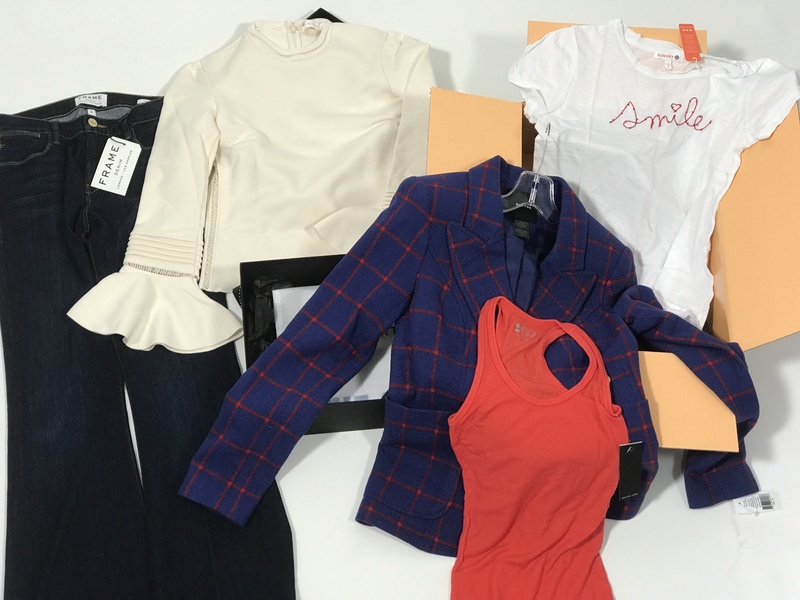 Online clothing box service Stitch Fix filed for IPO in late October, and a new one-to-one personal stylist option called Allume just launched on the heels of a three million dollar round of seed funding. Analysts say online styling services already account for more than one billion dollars of revenue out of the $350 billion US market for apparel — and that it’s just getting started. 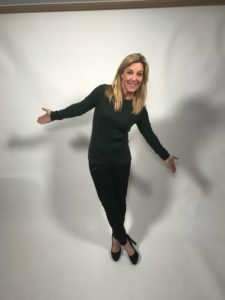 So, the big question now is, can all these online clothing services and stylists really fix that age-old problem of never having anything to wear? Kind of. But as I’ve learned first hand, it takes time, effort, and a bit of money up front, to find the right clothing service “fit” for you. 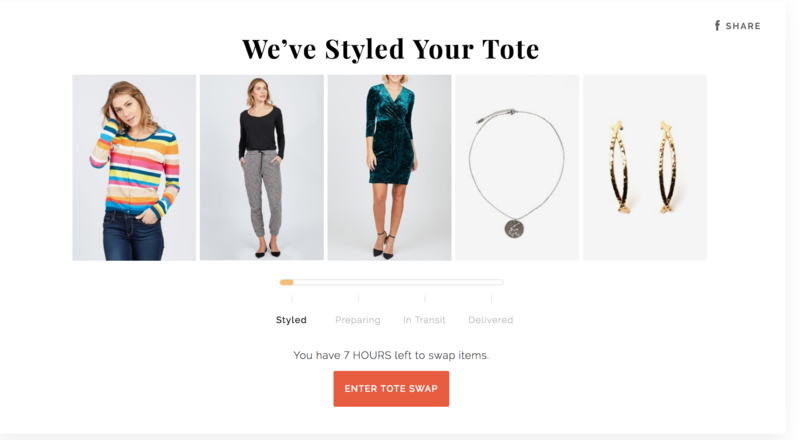 I tried out five different services over the past month: Stitch Fix, DailyLook, Allume, Rent the Runway, and Le Tote. 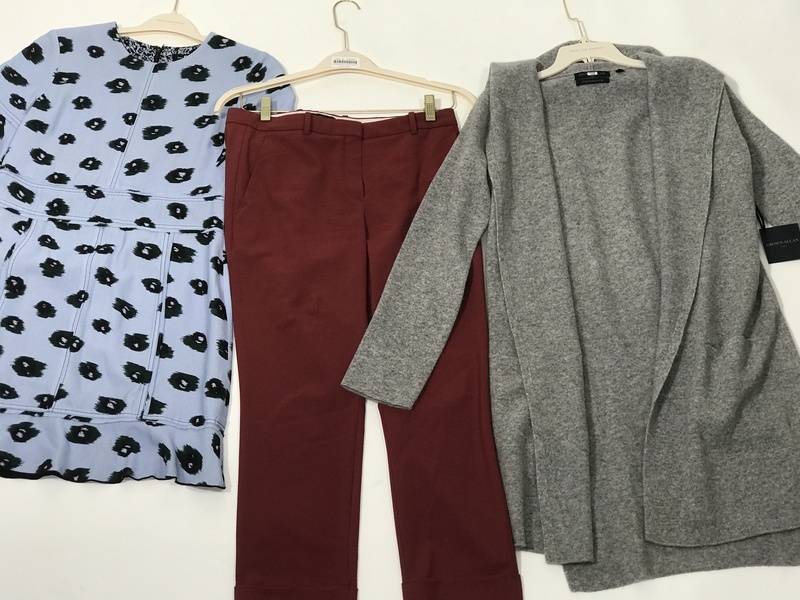 Stitch Fix is one of the most popular, and I’ve tried it a few times since it first launched in 2011. I’ve been subscribed to Rent the Runway’s Unlimited $159 plan for the past year (which I’m now cancelling after trying the others). DailyLook ads keep popping up in my Instagram feed. Allume offers the dream of working one-to-one via text and email with a personal stylist (like famous people do) for an incredibly affordable price. And for Le Tote? I like the idea of renting clothes versus buying them. That just seems better for the planet, and for keeping on top of fashion’s fickle fads. Stitch Fix and DailyLook are both “try and buy” type services. 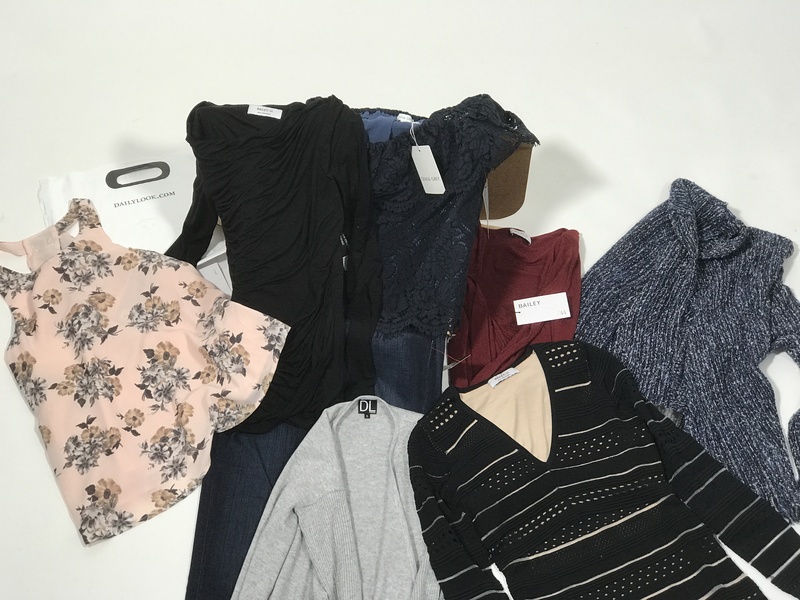 You sign-up online, answer a bunch of questions about your size, style, shape, budget and lifestyle, and pay a $20 styling fee for Stitch Fix, or $40 fee for DailyLook Elite. Those fees are applied as credit toward anything you end up buying from your box. Both sites decide what to send you based on the information you give them in their questionnaires, your social media profiles and Pinterest boards (if you have them, I don’t), and a real live stylist who reviews everything and tries to figure out what will work best for you. What shows up at your house is always a surprise, and you really just have to hope for the best. My Stitch Fix box took about two weeks from the time I signed up to the time it arrived at my doorstep. All the others took one week or less. It had five items inside, and the company gave me three days to try to them, figure out if I wanted to buy any of them, then send the rest back with a prepaid label. The clothing inside the first box was mostly a miss. There was a dark green sweater that looked great on, but itched like crazy, a royal blue Tahari dress that looked identical to something I already have in my closet, a black blazer that was an interesting idea, but didn’t do anything for me once I put it on, and a purple sleeveless blouse was too big, and again, just nothing special. I ended up buying the one pair of jeans they included, from a brand called Pistola ($88), that I’ve already worn three times. I love them. Stitch Fix also sends a sheet of Style Cards, which shows you how to wear and accessories your new item. But did it deliver what I asked? I guess. 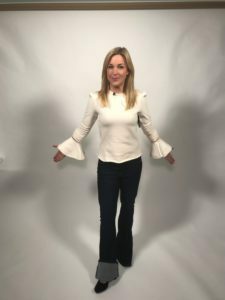 I asked for help bridging the gap in my wardrobe from on-air clothes (ie., what I wear on the Today Show) and my typical every-day work-from-home outfits of workout tights, t-shirts and zip-up athletic jackets. 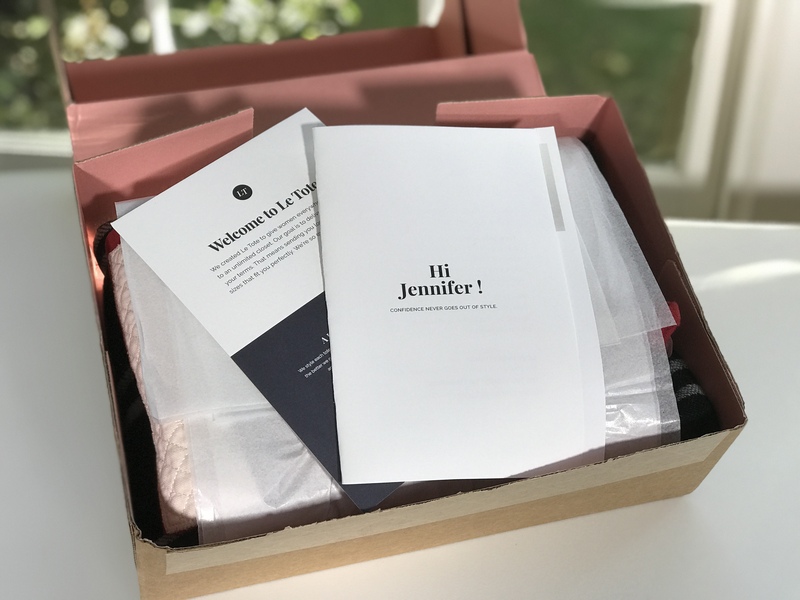 I have to say, this was better than any other time I’ve tried Stitch Fix, because I’ve learned to write a lot more notes in general, and to update the Style Profile a few times before submitting it. According to several dozen reviews of the site, the more you use the service, and the more feedback you give, the better it gets. I wish there was a way to leave photos for my stylist, and maybe that’s what some people do with the Pinterest connection. But as someone who’s already insanely time-crunched, that’s the last thing I need to spend time doing right now. Still, I’m going to give it one more try. Best for: time-crunched professionals who don’t like shopping, but want to try new styles that are good quality for an affordable price. Expect to use it more than once for it to really work. The results from DailyLook were the most surprising of any of the services. The the two things I thought I would love did not look good on (the two cardigans), and the one thing I thought was a “no way in hell,” (the lace top) I ended up buying. That sort of discovery is pretty cool overall. Best for: a more fashion-conscious person who wants access to the latest trends, seasonal fashions, and a hipper, more “LA” vibe. 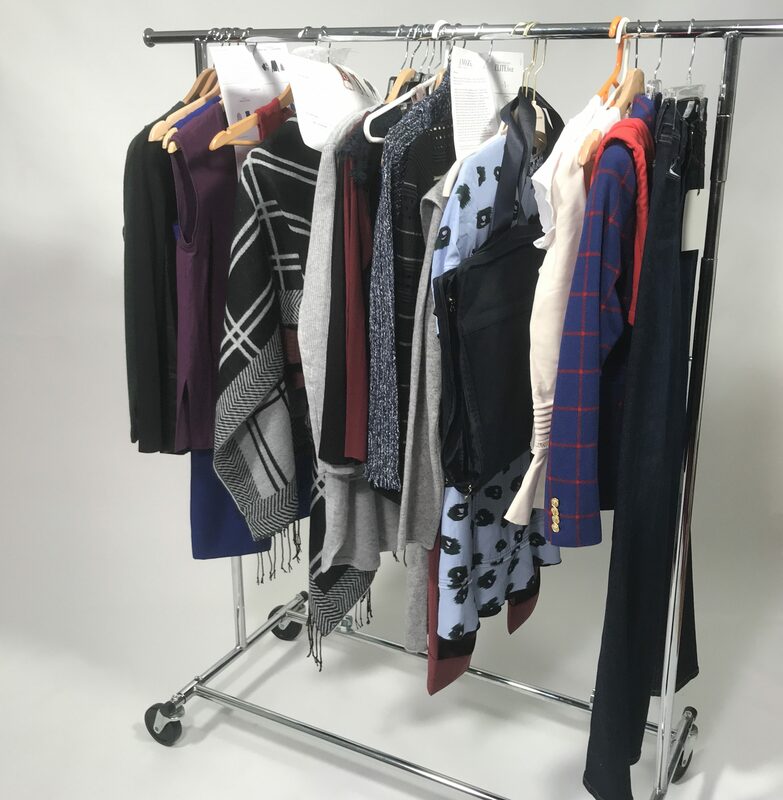 Rent the Runway and LeTote are online, on-demand clothing rental services. You read that right. You rent the clothes, with an option to buy what you like at a discount. Unlike the try and buy model above, you get to choose what they send, from hundreds of different styles and brands. I love this idea. Rather than forking out a small fortune for gorgeous clothes that I only wear a handful of times, wouldn’t it be great to spend a monthly fee and have a revolving door of fashion finds? Unfortunately, that’s not exactly how it all worked out. Read on. 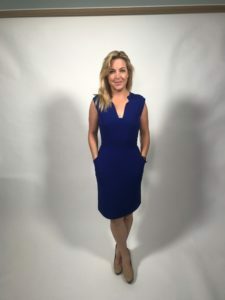 Rent the Runway is great for borrowing really expensive gowns for special occasions, especially if you know exactly how a particular brand’s style and fit looks on you. The site gives you access to luxury designer fashion, jewelry, and handbags, some of which runs in the thousands of dollars. Shipping is free, and they dry clean everything too. But, for enhancing your everyday wardrobe, it’s not great. I signed up for Rent the Runway’s $159 Unlimited plan a little more than a year ago. The premise is simple, pay the monthly fee, borrow three items at a time (it changed to four items while I’ve been working on this story), keep whatever you want as long as you want, and swap out the others as often as you want as well. The idea of having access to designer clothes on rotation is well worth the $159 per month to me, but that’s not really what you get. It takes a full week to ship items back and forth. So you order, wait a week, try stuff on, hope something works, send back what doesn’t — that takes a week too — and then start over again. That means three weeks a month are spent just shipping things back and forth and I’ve never been able to get more than one shipment per month. This might be different depending on where you live, but that’s how it’s always worked for me. After the first three months using the service, I also learned to only choose items from the “New Arrivals” category. When I haven’t done that, especially with work type clothes, many arrived just too worn out, smelly, or damaged. I mentioned this every time it happened in the “review,” section, but never pursued it with customer service. 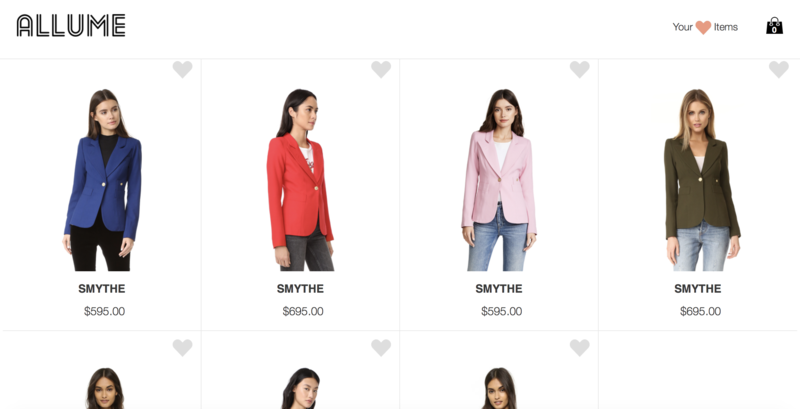 The other issues I’ve had with using Rent the Runway Unlimited, is that my size (either a 4 or a 6) often isn’t available, or the choices are so limited that I have a hard time finding even three pieces per month that I’m really interested in trying out. The company just updated their offerings to include an $89 per month Update plan that sounds like what I’ve had for the last year, and promises their $159 Unlimited plan now gives you access to 450+ designer brands. 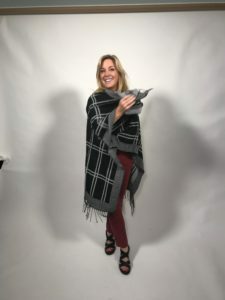 In my last shipment of three items, there was a long gray duster that I never wore, and a blue dress that I never wore either. I loved the red trousers, so much that I want to buy them. I can do that at Rent the Runway for a 10% overall discount ($247.50), but when I did a quick Google search, found them on sale for $80 less than that at Saks ($165). Best for: serious fashionista’s with a sense of designer clothing that looks best on their body. LeTote is another fashion rental service, but more for everyday wear. It’s the most flexible and least expensive of all the services I tried out. 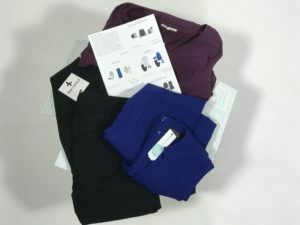 You choose the subscription you want; $59: 3 garments and 2 accessories in every tote, $69: 4 garments in every tote, or $79: 5 garments and 3 accessories in every box. They suggest the clothes they think best suit you based on a style questionnaire, but you can swap out anything they recommend for something you think looks better. (I swapped out everything in my first box.) You can wear the clothes for as long as you want, and then send them back, minus whatever you’ve decided to buy – for a decent discount. My first tote recommended stuff I just never wear, like scarves and bracelets, in addition to things I already wear too much, like athletic sports jackets. I replaced everything and ended up with a too worn pair of pants, a too worn tank top, an Octavia print shawl that I bought ($38) and two necklaces that I didn’t even end up trying on because they just weren’t “me.” I had only myself to blame for this, since I picked it all out. LeTote does something pretty great in that is has free 2-3 day priority shipping, so it was the fastest to arrive of all the services. They also let you “shop” many styles and brands, add them to a virtual closet, and update it all as much as you want. Best For: casual clothing, maternity wear, clothing in the $100 or less range. Allume is the new kid on the block in terms of these kinds of fashion sites — and different from these other four because it’s an actual 1-to-1 personal shopping service. You sign up online, take a detailed style quiz, then get paired with an experienced stylist. The two of you arrange a time to text with one another, a sort of initial consultation that takes about 20 minutes via text. 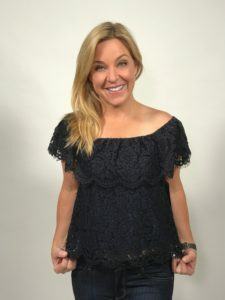 Mine Allume stylist’s name is Meghan, and she spent a ton of time via text’s “listening” to what I want, understanding what I feel comfortable wearing and what I’m really looking for. She put a big lookbook together for me and it ended up having several garments that I already own, which told me that she “gets” me. But I don’t need stuff I already have, so she dug back in put together two more lookbooks based on feedback from the first one. 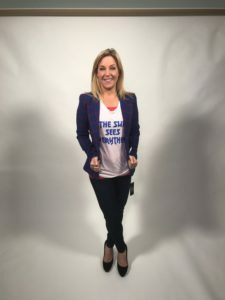 What arrived at my doorstep was my favorite of all the clothing, which isn’t surprising since we worked together to find the best of the best: a pair of flair Frame jeans, a Smythe blazer, two graphic tee’s, a tank top, and a See by Chloe top. I had fit issues with most everything except the Koza printed jersey tank ($85) and the Sundry smile t-shirt ($78). The flair jeans were about a mile too long, and the Smythe blazer was amazing, but a little too tight when buttoned and at the astronomical price of $695, Meghan and I both agreed it should fit like a second skin. I never felt pressured to keep or buy anything, and will set a much lower price in the future. I’ve looked into hiring a personal stylist in the past, and the cost was always around $2,000. Allume does it all for a $20 styling fee that gets credited back if you buy something. What I like most about this service is that Meghan has gotten me to try on a lot of things that I would not have otherwise. What I don’t like about it, is that you have to buy the clothes up front, though returns are free, and just as easy as with all the other services. Best For: Anyone who wants to know what it feels like to have a personal shopper.